We look forward to seasonal visits to Detente. 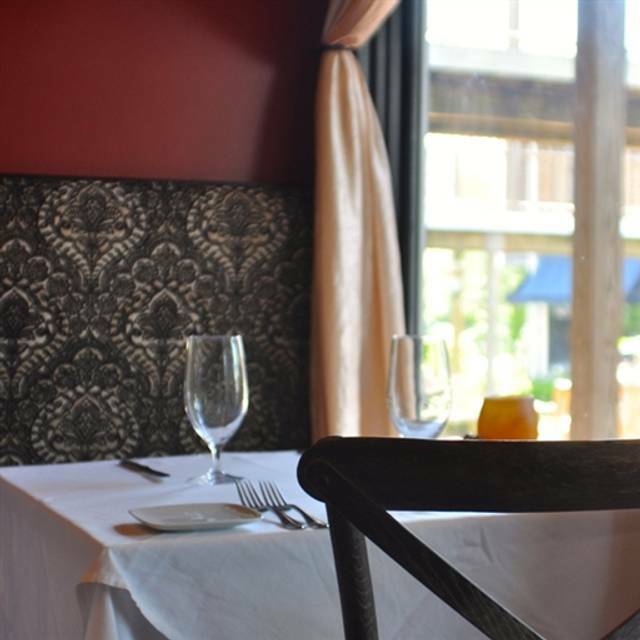 The food is consistently creative, locally sourced, and served with pride. Have a pleasant break, Detente staff! We were a table of 6 women. It was a lovely evening. Out server was excellent, although a bit busy. Our food was outstanding. It was quiet and we could talk easily. A wonderful evening all around! 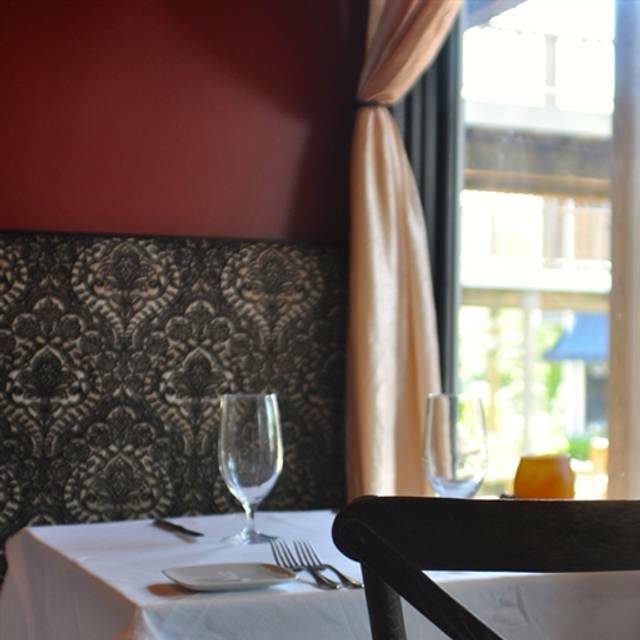 Intimate environment, excellent service and amazing food! Spectacular meal, fantastic service. Wish we lived closer so that we could go back soon! Creative food and wonderful staff! We look forward to going back again next year! The food was innovative and delicious. 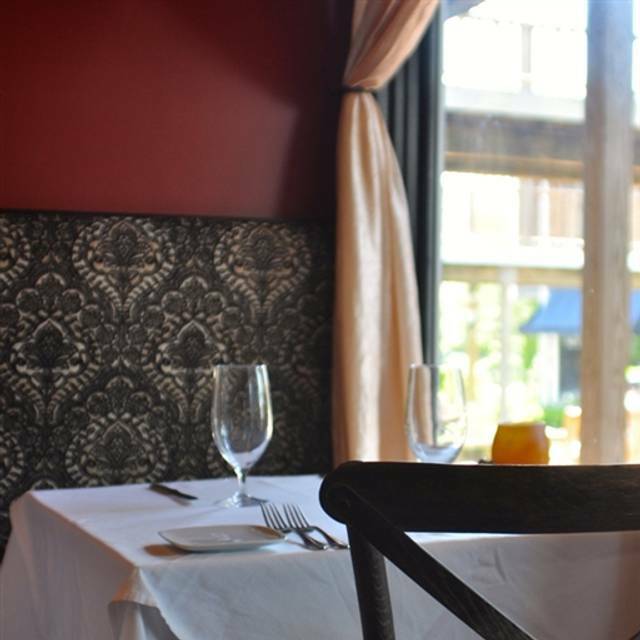 We eat regularly in the West Village in Manhattan and Detente can compete with the best. Creative food, great choices and a delicious experience all around. Everything was good but the portion size for the duck confit ravioli was skimpy for the money. Recommend the Tabor Green salad and the Beef duo. It was our second time on the island and we had to stop again at detente. We had a wonderful time last year and the same thing happen again! The food is always delicious, creative and well seasoned with seasonal or local product. We both time ate outside which is very charming. The service is attentive. Great gem place in MV! Wonderful meal, as always. The Goldbud peach salad is something I dream about all year - I could eat three courses of it! The inventive presentation, wonderful flavors and attentive service make this an excellent choice for a lovely evening. We had a lovely dinner outdoors with a very attention and professional waitress. We would go there again. Chef Kevin does a masterful and artistic performance juxtaposing various foods and tastes together. Each course, arugula salad with fresh peaches and cheese, monkfish with gnocchi and pork belly, quints with sorbet and sweets, were delights for the palette and the eyes. Service was also outstanding. Just a great evening. Great spot with excellent food and service. Place is small but has a quaint outdoor area. Definitely a place to go while on the island. Great food and great service - who could ask for anything more? Many thanks to Détente for a perfect evening of food and great conversation with friends. The lamb was fantastic as was the halibut with lobster and asparagus risotto. Strong menu and kitchen. Very welcoming and solid service. Lovely evening. Dinner was great! Three different meals (rack of lamb, filet mignon and fish) and all were very good with terrific sides and sauces. Best food on Martha’s Vineyard by far. We had a great bottle of wine too! We had the chocalate tort for dessert which was excellent. Most creative food we found on MV. Wait staff were attentive but not obtrusive. Fine wine list. Outstanding menu and wine list. 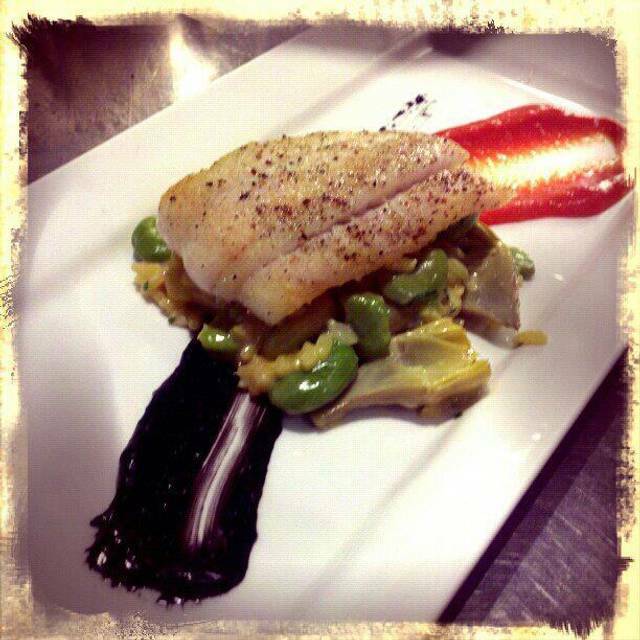 Flavorful and well seasoned courses with seasonal and local ingredients. Service was hurried when present (wait staff seemed overextended) Pacing of courses was prolonged. The place is truly amazing on all fronts . Iv been a fan of this chef ( and his wife ) for years & it's truly a memorable dining experience. Please go a you'll thank yourself ! First time dining at Detente. This is one of the best restaurants on the island. Food was perfect and was the service. You can dine inside or outside on a beautiful evening. You won't be disappointed! French food. 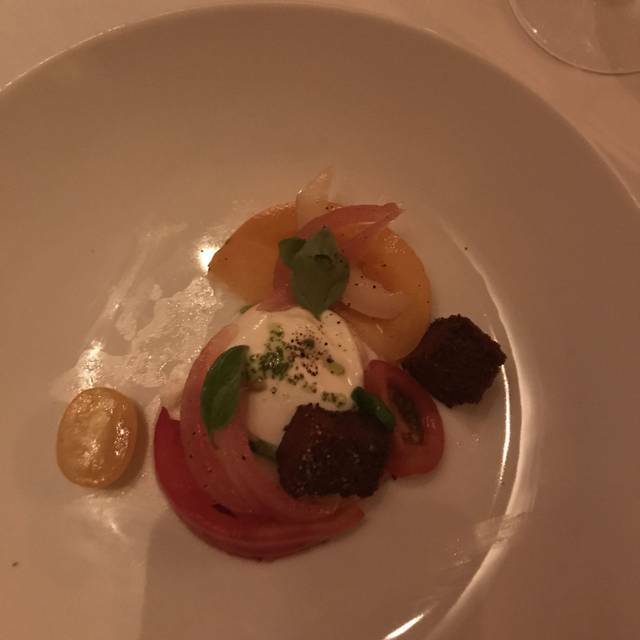 Not better than most of them, maybe better than some others on the island, not sure... Peach salad was good, appetizers not impressive, lamb was undercooked and hard, understated. Dessert also so-so. Plates were nicely decorated but that was about it. Good food but not outstanding. Had better, had worse... May try once I guess, then try other ones. The food was just delicious, almost start to finish. One of us ordered the beef duo, the other the halibut with risotto. The halibut and risotto were amazing, perfectly prepared. The beef duo also was delicious; the only slightly weak link was the short rib, which was fatty for my taste and nothing special. The accoutrements to both dishes showed great (and delicious) attention to detail. The panzanella salad we shared as an appetizer, and the peach-nectarine tart we had for dessert, also were amazing. The service also was very good, and the atmosphere was pleasant -- good for a date as well as for a family occasion. The food was exceptional! Combinations of Flavors were like being on a journey. A true foodie restaurant. Can’t wait to go back again!! The food and service where good, there was a very loud table for 4 near us and no one attempted to control the noise. It was quite unfortunate, I think the management should have at least asked them to tone it down. The waiter even apologized to us but didn't do anything to change it. This was a fantastic find. The service was exceptional! The food was phenomenal. As usual Detante was fabulous/ love the ability to get appetizers upsized to dinner portions! The Bolognaise was so delish! Peach salad was exquisite! To top it off blueberry bread pudding was perfect! We had a lovely meal. The food was terrific. We were disappointed though that the AC upstairs was broken and that the maitre d’ seated us upstairs even though we asked if it would be too hot because it was very hot and humid out. He insisted it would be fine. However, two servers told us that the AC had been broken for days. The downstairs was nice and cool and empty, and we didn’t understand why they kept seating people upstairs just to add body heat to an already miserably hot room. And really the ultimate issue was that they they weren’t honest with us about the AC not working when we arrived and asked if upstairs would be hot to give us the chance to leave if they couldn’t accommodate us downstairs. 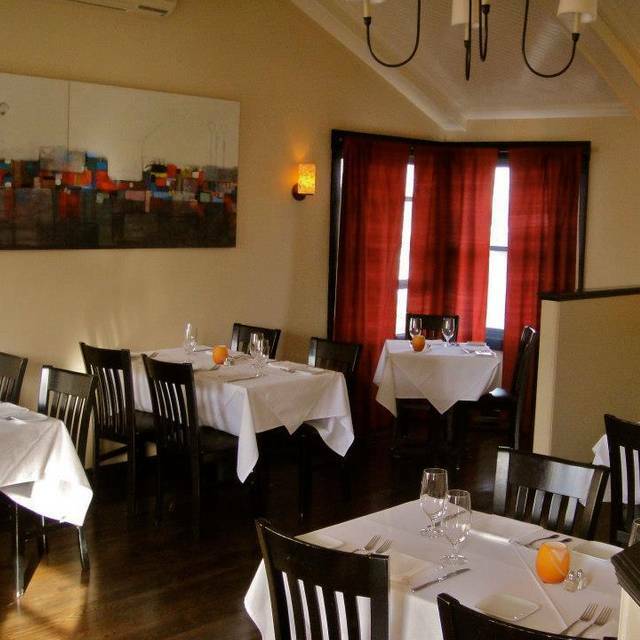 There are plenty of restaurants with excellent food and functioning AC on the Vineyard. Awesome experience all the way around! Delicious food and great service! Food was just wonderful and service by Franco was great. The upstairs level was hot in August but that is typical for Vineyard restaurants. It is set back from the street in a courtyard and the location is away from the busyness of the streets in edgartown. Well worth a try. Far and above the best restaurant on Martha's Vineyard for fine dining. The menu is inspired, unique and beautifully presented. Tucked away in a garden, with twinkling lights and limited seating, it is a gem on the island. My husband and I come here every time we are on Martha's Vineyard and we are never disappointed. Detente's food is consistently delicious and the service is fantastic. I highly recommend this place. Their special peach salad is amazing. I had monkfish and my husband had the duo beef (sirloin and shortribs) and both entrees were fantastic. My husband raved about his scallops appetizer! Every dish was perfectly cooked and delicious! This restaurant is excellent. The food was delicious and the service impeccable which is not something I can say for all the restaurants we have eaten at so far. I would highly recommend this restaurant to anyone looking for a great meal in Edgarstown. We will definitely be back. Fantastic from start to finish! Fresh, perfectly cooked and absolutely delicious.